In this case, holograms are supplied in reel form i.e. continuous metalised polyester hologram strip coated with pressure sensitive or heat transfer adhesive depending on the application. 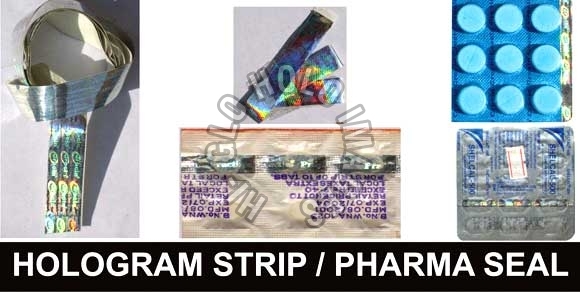 These strips can be laminated or heat transferred on the substrates like pouches, cards or blister packing etc. during packing of products on line.